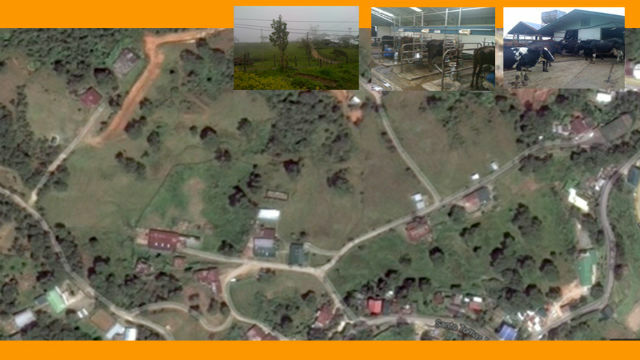 BAGUIO CITY – Mayor Mauricio G. Domogan ordered the City Planning and Development Office to prepare the comprehensive master development plan of the more or less 8-hectare portion of the Baguio Dairy Farm ceded by the Department of Agriculture to the city government so as to maximized the use of the area for the benefit of the city. The city chief executive disclosed the deed of usufruct executed by Agriculture Secretary Emmanuel Piñol for the ceding of a portion of the Baguio Dairy Farm to the city has been notarized and the copy of the agriculture department has been transmitted to the Secretary’s Office for appropriate action. “We have to make sure the use of the area is maximized to address the priority needs of the city in terms of dealing with the our current situation, thus, we need to prepare the master plan for the use of the available spaces in the area,” Domogan stressed. He added that the local officials and the people are grateful to Secretary Piñol for his timely action on an earlier request from the local government to cede a portion of its property to the city which could serve as a multi-use area to allow planners to have the options in using the place for suitable purposes. The ceded area includes the site where the 5,000-square meter temporary waste transfer station of the local government is situated aside from the portion of the property located along the stretch of Marcos Highway. Under the deed of usufruct, the local government will be in charge of evicting the remaining informal settlers within the ceded land area to help in efforts to clear the property of illegal occupants. The Mayor requested the City Legal Office and the lawyer of the Agriculture Department to closely coordinate with the court sheriff on what appropriate legal actions can be taken to implement an earlier court order that directed the demolition of the illegal structures that erected over the government property. He underscored the dismantling of the illegal structures in the Baguio Dairy Farm is covered by a court order that attained finality and it is important for the legal team of both the Agriculture Department and the Local Government to work together to ensure the implementation of the removal of the informal settlers before the city implements the demolition of the remaining illegal structures in the area. Earlier, some of the informal settlers acquired restraining orders from the court that served as their temporary relief in the dismantling of their illegal structures but the same were reportedly dissolved which means there are no longer legal impediments in the implementation of the court order directing the removal of the illegal structures in the property. It will be recalled that the Baguio Dairy Farm was established to help improve the dairy production in the city and other parts of the region, thus, the title was placed under the name of the agriculture department.